We are a reputed name, engaged in manufacturing and supplying of Book Stitching Machine. 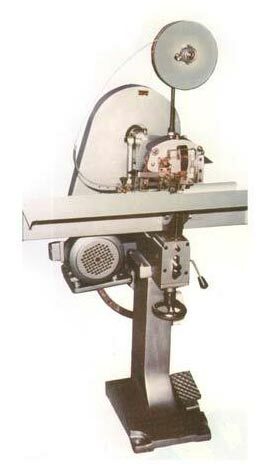 These advanced Book Stitching Machines are known for reliability, high efficiency and longer working life. Book Stitching Machines are suitable for variety of stitching and binding operations such as wire binding of Pictorials, Journals, Books, Exercise Books, etc. Further, we offer Stitching Machine in different specifications to meet the clientâ��s requirement.